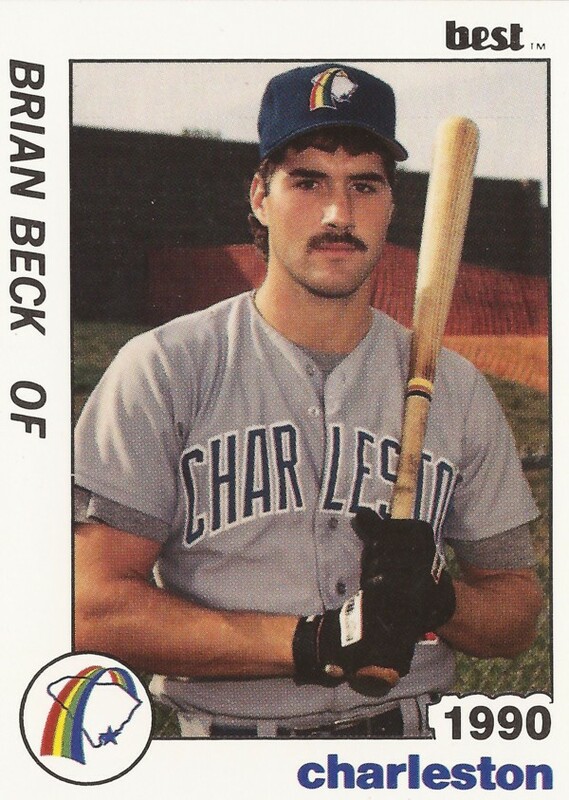 Brian Beck got the scoring off to an early start in this August 1990 game for single-A Charleston. In the top of the second, Beck launched a solo home run with two outs. The home run put Charleston up 1-0 and put it on its way to a 5-2 win, according to The Sumter Item. Beck hit that home run in his second season as a pro. He ended up getting into three more seasons, but he never made AA. Beck's career began in 1989, taken by the Padres in the 37th round of the draft out of Hidden Valley High School in Oregon. He started in the rookie Arizona League, hitting .214 in 52 games. He also knocked in 23. For 1990, Beck moved to Charleston. Over 127 games, Beck hit .231, with 11 home runs and 50 RBI. He scored a run in a May game, one of 39 he scored on the year. He returned to Charleston for 1991. The outfielder's average dropped to .202. His 1992 season was a transition year. He played 20 games in the outfield at single-A Augusta. He also got seven outings on the mound as a pitcher in the rookie Gulf Coast League. In those pitching outings, Beck picked up a win and had a 2.08 ERA. Beck became a full-time pitcher for 1993. In 22 relief outings at short-season Welland, Beck posted a 4.08 ERA and picked up three wins. It was his final year as a pro.